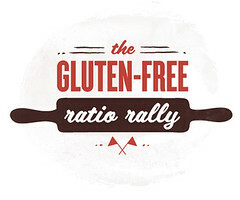 Welcome to round two of the Gluten-Free Ratio Rally! If you’ve stumbled upon this post and are interested in reading more about what the Rally is all about, check out the post from our inaugural run when we all shared ratios and recipes for pancakes. This week we’re giving youquick breads, a category that comprises muffins as well. For a few years when we were young, after my parents’ divorce, my brother and I would spend the summers at my dad’s house. He worked during the day and we passed the time watching Nickelodeon, playing Nintendo, and biking to the local “aquatic center”. One day, bored and in the mood to bake, I sifted through the kitchen cupboards and came across a blue box of date bread mix. I remember very distinctly opening the package and pulling out the tiny packet of flour-dusted dates. What were dates anyway? From what I could see, they were hard little brown bits and unlike anything I knew. I placed them in my mind somewhere between a dried fruit and a nut. Maybe they were somehow a bit of both? I don’t recall making the actual bread—though there isn’t much remarkable about stirring together a mix, is there? I do, however, remember thoroughly enjoying the end result. I’d never eaten date bread before and was not entirely sure how the mix wound up in my dad’s cupboards, but I was glad that it did. 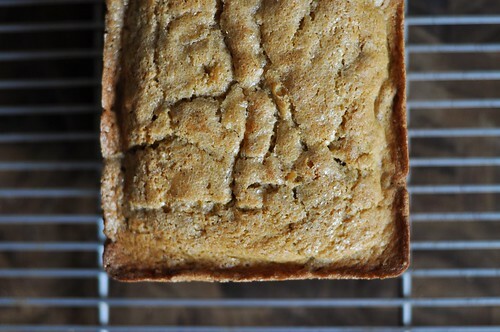 Since that summer, “date bread” is something that has stuck with me. I’m now well-acquainted with the fruit: stirring them into brown rice porridge first thing in the morning, folding them into scones, and downing more than my fair share the past couple years in the form of Larabars. And every time I come across them, I remember that blue box (and to be fair, the marketplace scene from Aladdin). When I set to work on this month’s Ratio Rally post, I spied a container of dates in our kitchen and thought once more of that bread. I wanted to recreate the soft, humble loaf, studded throughout with bits of honey-sweet dates and punctuated this time with walnuts. Date bread isn’t quite as showy as other quick breads, like the coveted banana or the crowd-pleasing zucchini. Maybe that’s what makes it so particularly good. Not overly fragrant or loudly spiced, it sits smelling sweet, faintly of butter, but looking rather harmless. It’s unexpected. And it has a way of staying in your mind. In a medium bowl, whisk together the millet and sorghum flours, the tapioca and potato starches, the xanthan gum, baking powder, and salt. Prep note: Remove a roughly 1/4 cup portion of the flour mixture to a small bowl. 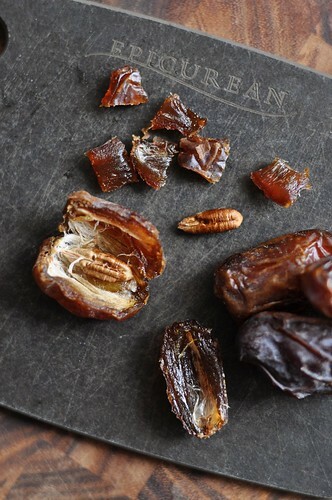 When preparing the dates, coat the chopped pieces in the flour mixture. Dates are very sticky and doing this will help to keep them separated when they are mixed into the batter. Transfer the excess flour back to the flour bowl. In a large bowl, cream together the butter and brown sugar. Add the eggs, one at a time, beating well after each addition. Mix in the vanilla. Mix one third of the flour mixture into the butter and sugar mixture. Next, mix in one third of the water. Continue adding the flour mixture and the water alternately until all the ingredients are combined. 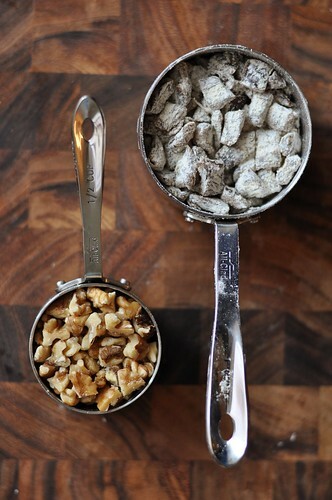 Stir in the dates and walnuts. Pour the batter into a greased loaf pan. Sprinkle the top generously with raw sugar, if desired, and bake for 50-55 minutes. The bread will be golden and a knife inserted in the center will come out clean when it is done. Hey, one cannot rally alone! 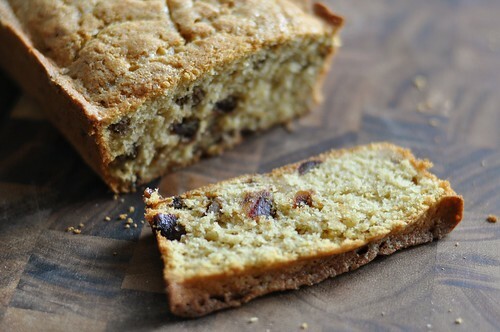 We have an even bigger group this time around with tons of delicious-looking gluten-free quick breads for you to try. Our wonderful host this month, Silvana, has posted a full list of links on her site. Head on over to her kitchen and check them out. With lovelies like her own Chocolate-Coated Marshmallow-Topped Vanilla Cupcakes, Jenn’s Chocolate Chestnut Quickbread, and Gretchen’s Gingerbread Fig Loaf, you’re not going to want to miss a single one.